We understand that no one can specialise in all aspects of US immigration – so we are focused specifically on helping businesses and investors to immigrate to the USA. 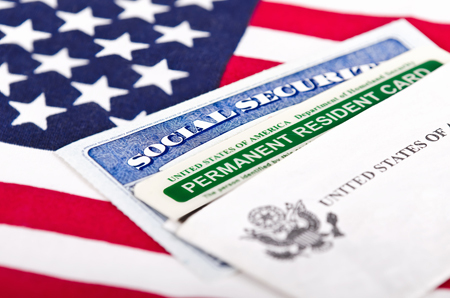 We work closely with US immigration attorneys and our expert partners in areas such as tax planning, property services, franchising and pensions to provide you with a complete selection of services surrounding and related to US immigration. We have selected our partners for their exceptional reputation and credibility in their respective fields, so that you can work with one single company, for a range of different services you might need alongside your visa application. We’re Here to Help – Your decision to move to the USA is not just motivated by business; it is a life choice. We understand that this kind decision does not get made overnight, and we can provide you with the structure that you need to plan well in advance, or to meet tighter timescales efficiently as required. Tailoring & Structure – Our aim is to provide a fully inclusive package of services tailor made to the needs of each client, so that you know how much you will need to budget. This could include anything from a visa and business plan, to company formation in the USA with a virtual office, or an introduction to an investment vehicle. Expertise & Experience – Our market experience and extensive knowledge of the USA, combined with the expertise of our partners means that we can deliver a full range of services within our area of focus, giving you the relevant assurance, advice and support you need to take the next step. We want to assist you every step of the way, meaning you have a single point of contact rather than spending hours trawling through various isolated web resources to assess your options. Not only are we proud of the services we are able to offer, but we enjoy delivering them: let us help you to transfer your vision of US living into reality.